It was Chelsea’s biggest ever defeat in the Premier League and manager Maurizio Sarri said he could not understand what hit his men on Sunday. 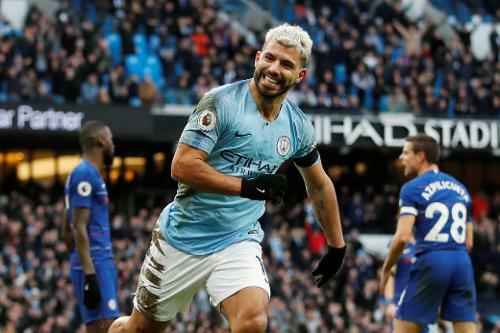 City scored four times inside 25 minutes and added two more goals in the second half to overtake Liverpool on goal difference at the top of the table. The result was Chelsea’s heaviest defeat in any competition since losing 7-0 to Nottingham Forest in 1991. “At the moment I am not able to explain,” Sarri, whose side slipped to sixth in the table, below Arsenal on goal difference after the defeat, told Sky Sports. “During the week my feeling was good during training. Maybe the goal we conceded after three minutes it was difficult to play. It was difficult not to give them spaces. We were in trouble. I am not able to understand. “We made a lot of mistakes against the wrong opponents. They played fantastic football and we made a lot of mistakes. We wanted to press them at the beginning of the action but the plan was completely ruined because we conceded after three minutes. The Italian said his side had a problem away from home and added it was right he should shoulder responsibility for the performance. “At the moment we have a big problem away,” he said. “The beginning of the season we were better away than at home. But everything has changed in the last month. We need to understand. But historically Sunday’s thrashing was not the worst for Chelsea.